Apparently Sabah is very famous for their Sang Nyuk Noodle. They recently brought their trademark all the way to Klang Valley. The interior is pretty much typical Malaysian coffeeshop, but is generally cleaner than those with various hawker stalls all in one shop. We got two Groupon vouchers which is really confusing. The information is really messy because they did not split info for 2 pax and 4 pax. Nevertheless, we still got what we ordered so it was fine. If it wasn't for the voucher I don't think I'll order the sides. 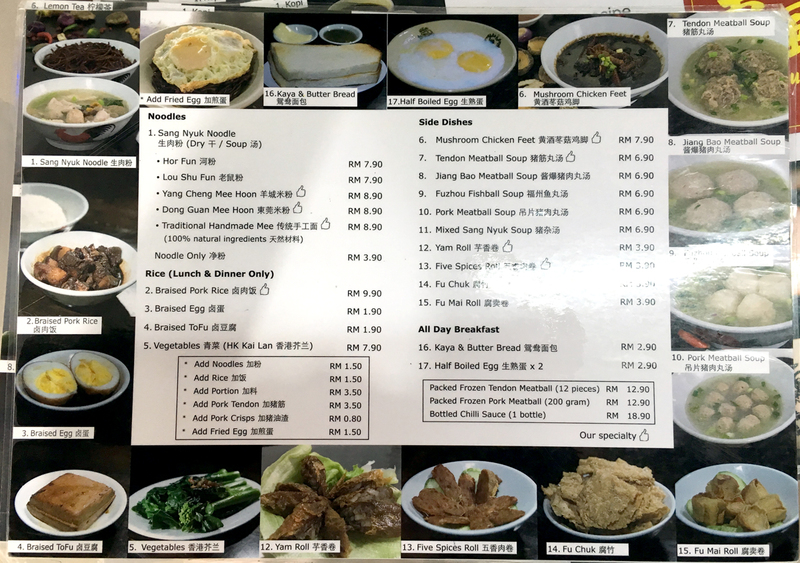 A bowl of 4 tendon meat balls / jiang bao meat balls is priced at RM6.90 per bowl. It's really way too highly priced.. But those tendon meatballs are worth it - it's super juicy! Those jiang bao wasn't that great, it's quite dry inside. As for the soup noodles, I personally did not really like it. 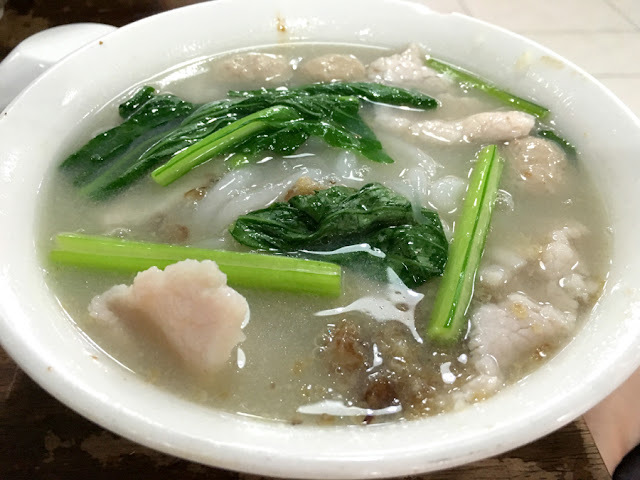 The soup was thick, but not thick from the pork flavours but it's the thickness by adding corn flour.. Barely any pork flavours, and it was really salty too. 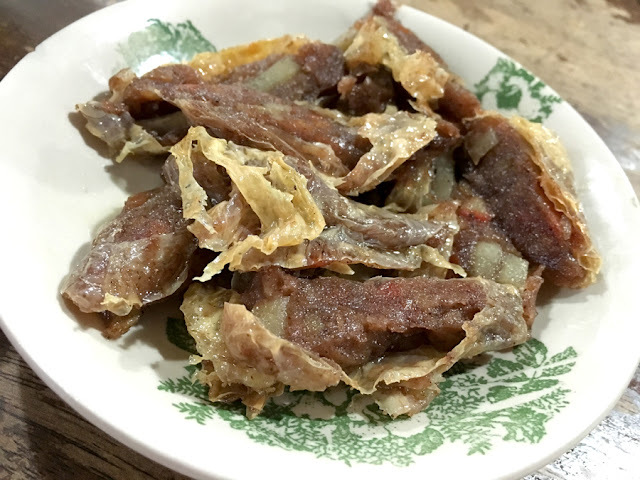 What I dislike most is corn flour coating those sliced pork meat. Those meat are really, really starchy. In comparison I'd rather have those meatballs. 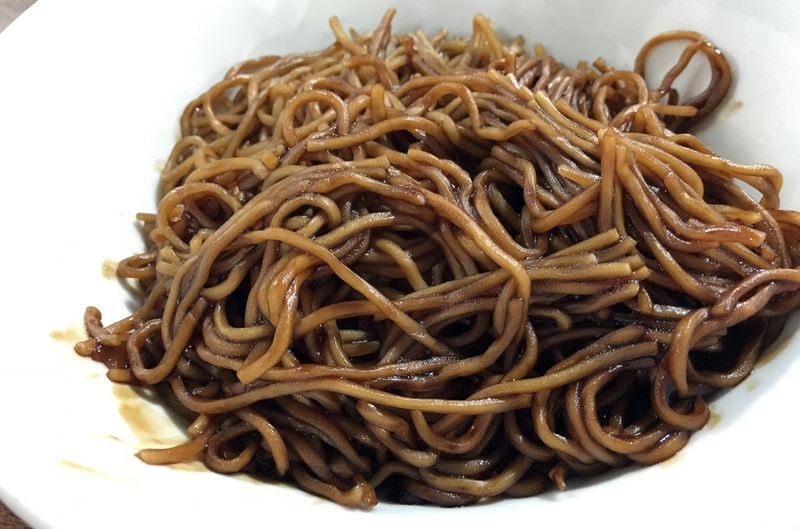 The dry noodles scored fairly higher but I was not particularly impressed either. I've ordered the traditional handmade noodles. 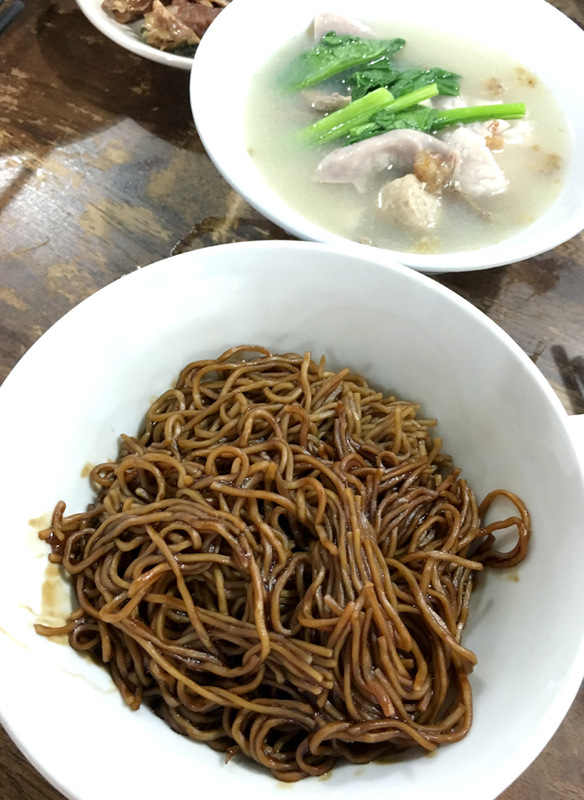 It turns out to taste like wan tan mee's egg noodles. So just imagine having dry wan tan mee but the little bowl has no wan tans, just mixture of pork meat or intestines if you want it (I don't really fancy). 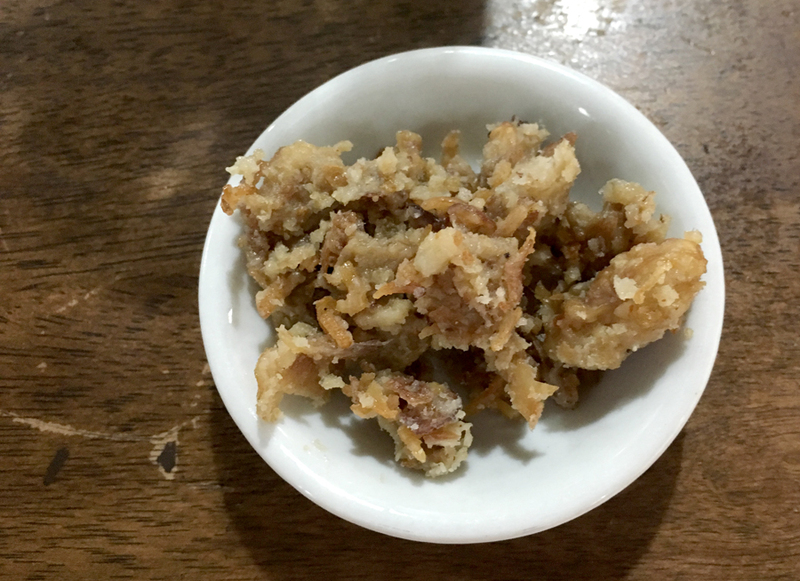 The pork lard is very different. It tasted like pork lard, texture is rather soft like deep fried onions. I still prefer the normal pork lard over this non-crunchy version. 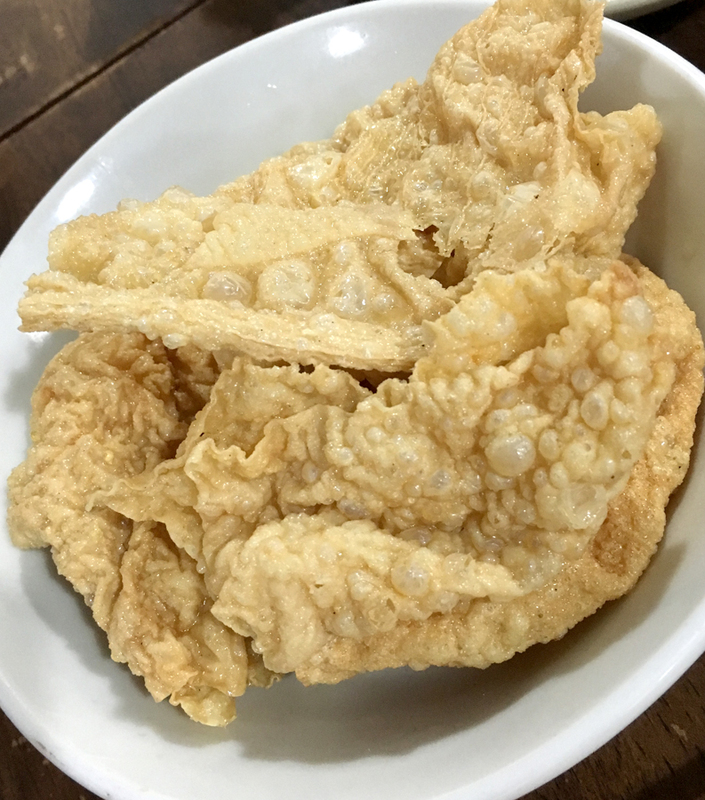 Pork lard have to be crunchy to win my heart!